Submit a clearance ticket online, well need some basic details, a commercial invoice and any related documents available. Dont worry if you don’t have all the requested documents or info, when getting started. It can be updated at any time. 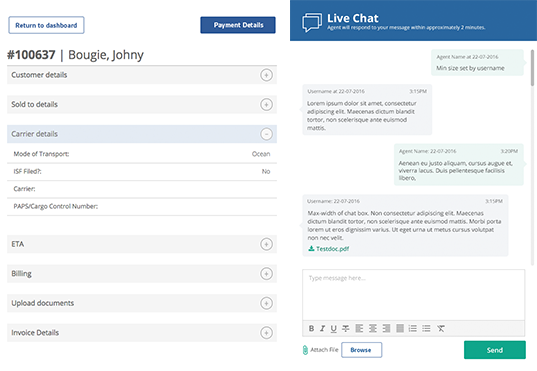 After submiting a clearance you will have acces to your online workspace (ticket) where you can chat in real time with your agent, update any missing documents & check the status of your clearance. Once your agent has confirmed they have all the neccessary info and documents, everything is submitted to Canadian customs eletronically for release. Clearit Canada files all customs entries via secure EDI Link. Upon successful payment, your goods are customs cleared! ready for final destination. Need delivery to your final destination? We can handle it directly. Just ask your agent! Now that your ocean shipment is on its way, be sure to organize your shipping documents for your broker: Commercial invoice, Bill of lading, packing list, and any applicable trade certificate or OGD (Other Governmental Departments) requirements should be submitted as soon as they become available. After several weeks, your shipment will arrive at port. Several days prior, you will receive an Arrival notice from your freight forwarder indicating the warehouse of your goods. Be sure to forward the notice to your broker to ensure a smooth release. Depending on your shipping terms, your contact may be to port or to door. Should your terms be to port, Clearit Canada can offer you a variety of final delivery options once your shipment has been offloaded and placed in a warehouse. Keeping your shipping documents organized is key to a successful customs clearance: Commercial invoice, Airway bill, packing list, and any applicable trade certificate or PGA requirements Should all be submitted to your broker as soon as they become available. 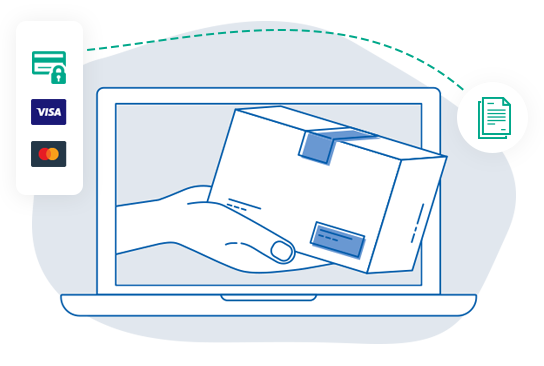 Once Your Air shipment has departed, your freight forwarder will provide you with a copy of an Airway bill . Be sure to forward the notice to your broker to ensure a smooth release. 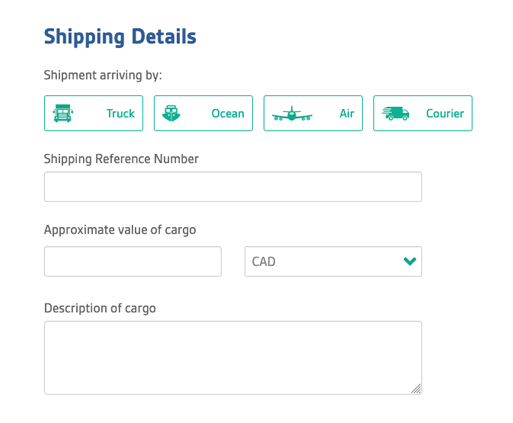 Keeping your shipping documents organized is key to a successful customs clearance: Commercial invoice, Bill of lading, packing list, and any applicable trade certificate or OGD (Other Governmental Departments) requirements Should all be submitted to your broker as soon as they become available. Your transportation provider will reach out and coordinate with Clearit Canda when your shipment becomes available for clearance. Clearit Canada uses Pre-Arrival processing system or PARS to secure a customs release prior to your truck shipment arriving at the border. Once cleared, your shipment is free to move to its final destination.